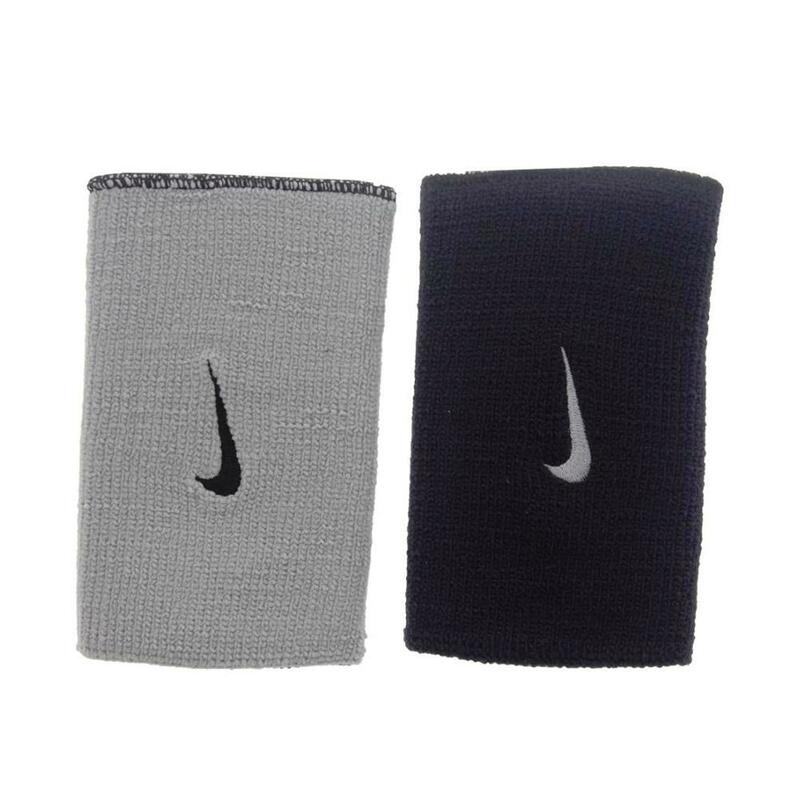 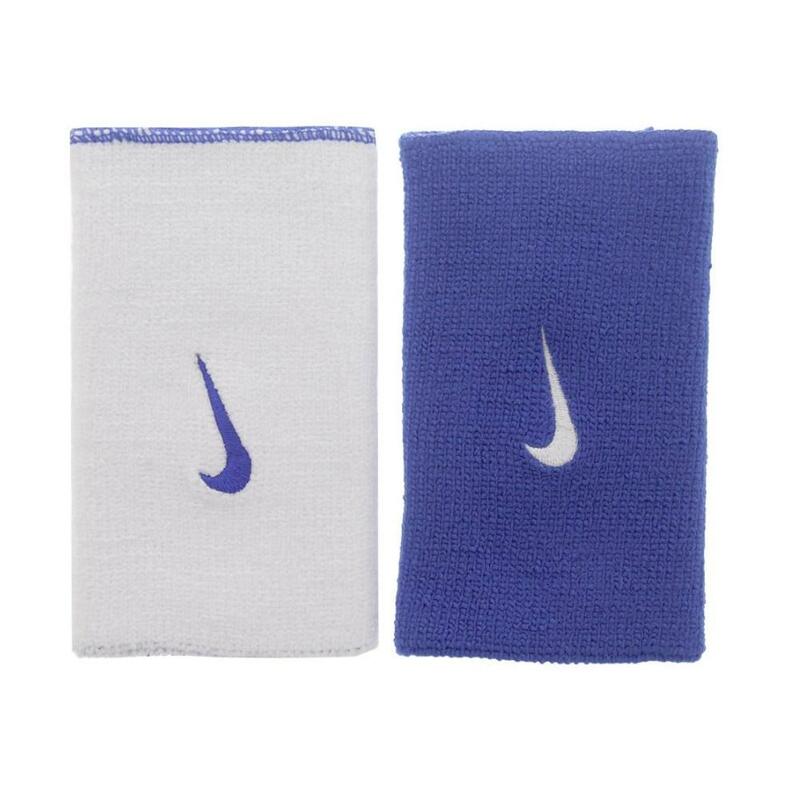 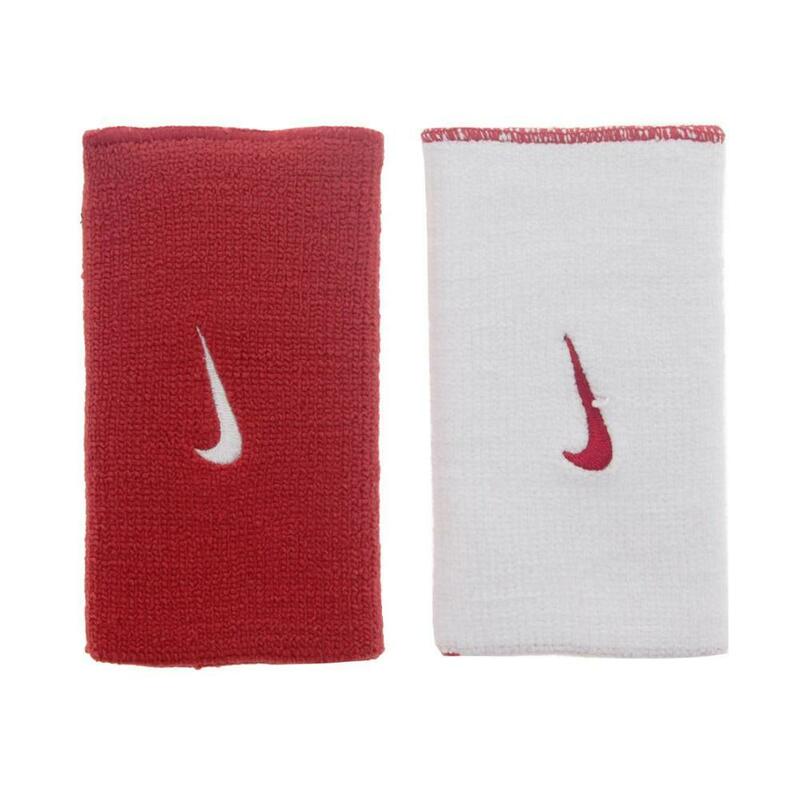 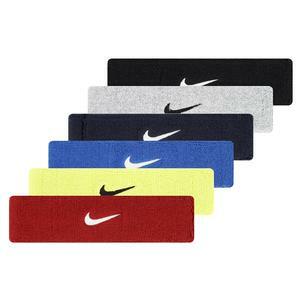 The Nike Dri-Fit Home and Away Double Wide Tennis Wristbands offer excellent performance characteristics to keep you dry all day on the court. 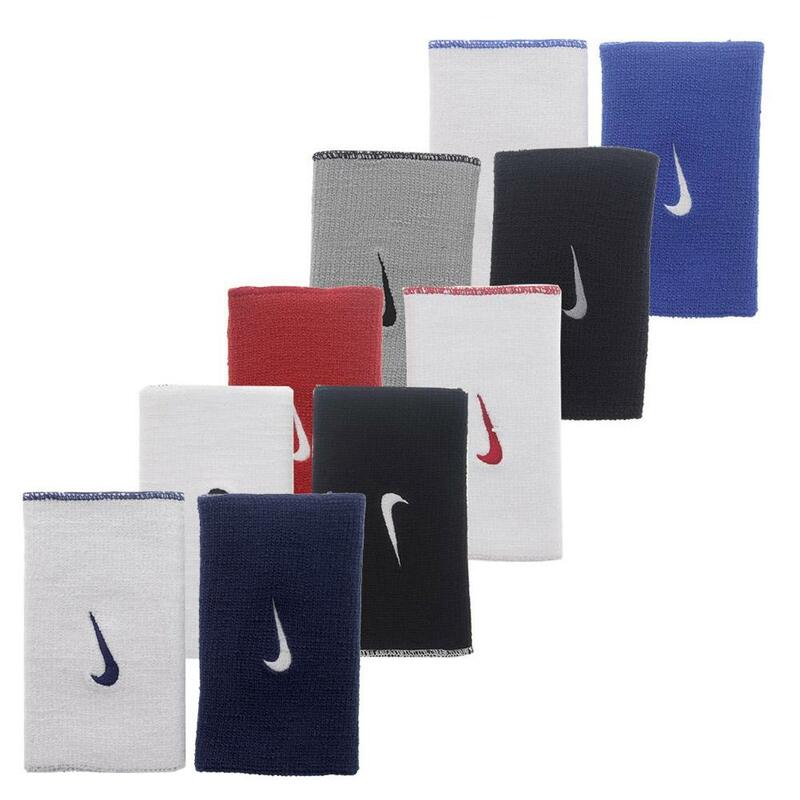 These reversible bands can match any outfit and two tone knitted construction allows for superior softness. 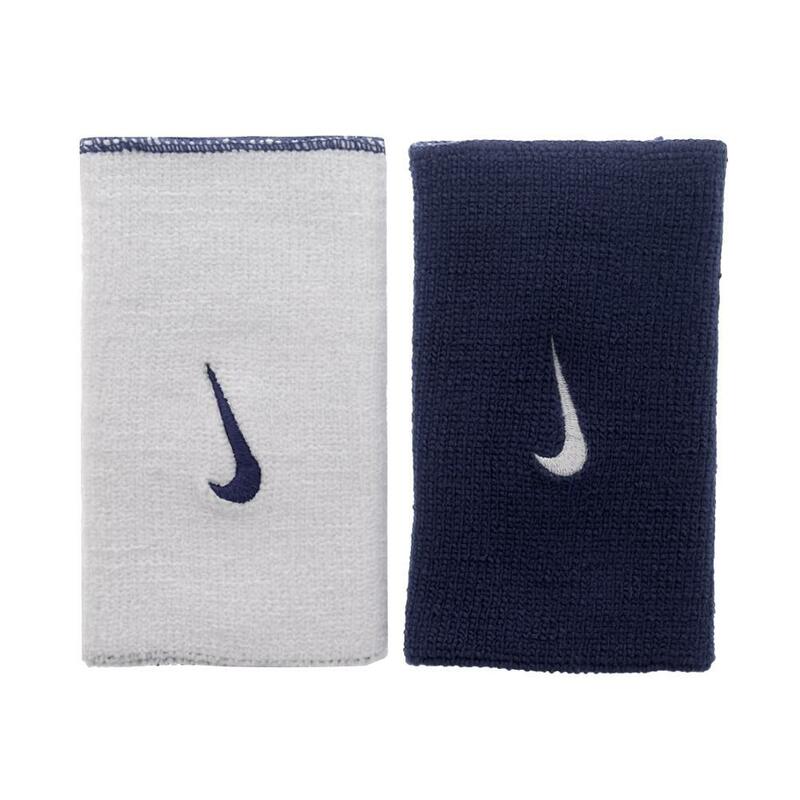 The Nike Swoosh is embroidered for extra style and 2 inch width enables more sweat wicking ability.